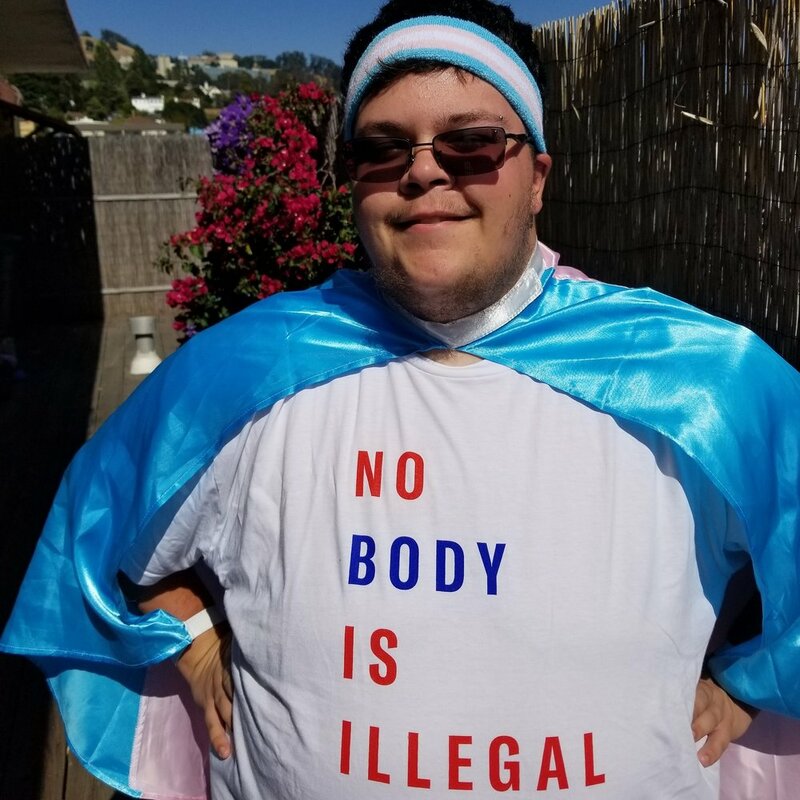 Gavin Grimm, originally from Gloucester, Virginia, is a transgender youth activist and client of the American Civil Liberties Union. Grimm’s lawsuit in 2014 against his high school’s discriminatory bathroom ban is the catalyst in his fight for transgender equality and activism in empowering youth everywhere. Grimm is extremely passionate about youth empowerment, with a special focus on trans youth. Grimm says in order to be himself, he had to change the minds of everyone from discriminatory medical staff to his parents, whom Grimm notes were homophobic and entirely unaware of the transgender community when he was growing up. After many years of feeling hopeless, lonely, and that no one was standing up for him as he was transitioning, he feels a duty to lessen the incident to other trans youth and general at-risk youth. Grimm says that the entire culture of humanity is due for a change: we need to focus on “paying it forward” and helping each other, especially those who are vulnerable and disenfranchised. Grimm is a sophomore in college and now lives in Berkeley, California. He is currently on the journey to becoming a middle school teacher. Grimm’s writing has been published in the New York Times. Just over two years ago, I started my sophomore year of high school. The summer before, I had come out to my family and friends as a transgender boy. I also came out to the school administration, telling them who I was and asking them to respect my gender identity. They assured me that teachers and administrators would call me Gavin, and use male pronouns when referring to me, and if anyone gave me any kind of trouble, it would be resolved right away. By the time I started school, I had legally changed my name and I was poised to start testosterone. However, I was still anxious. I come from a fairly conservative community, and I wasn’t sure that I’d be accepted for who I am. Because of this anxiety, I did not ask permission to use the boys’ restroom. I was not yet accustomed to advocating for myself, and I worried that I would be asking for too much, too soon. Instead, I used the restroom in the nurse’s office. The office was far away from my classrooms that year. It took far too much time out of my day to use the restroom, especially when, in any class, I was just down the hall from a perfectly good boys’ room. So I approached the administration again. This time, I asked to use the bathrooms that correspond to my gender identity. My principal told me the following day that I was free to use the boys’ restrooms, and I did. For a period of roughly seven weeks, I went in and went out with no altercations of any kind. No physical or verbal confrontation. No restroom misconduct by or against me. This seven-week period showed me what it was like to be embraced by your school, and it gave me confidence that I would be able to live out a normal school year, unencumbered by restroom politics. I went to the meeting, in November 2014, and spoke at it. Family and a few friends stood by me, but nothing could have prepared that insecure 15 year old for what was to come. People speaking out against me made a point of referring to me with female honorifics and pronouns. They warned me that I was going to be raped or otherwise abused. They suggested that boys would sneak into the girls’ room and harm their children. At a second meeting, a month later, the rhetoric was even more inflammatory. Word had spread throughout the community and people turned up in droves. After each frenzied remark, clapping and hollering reverberated throughout the room. I sat while people called me a freak. I sat while my community got together to banish a child from public life for the crime of harming no one. I sat while my school board voted to banish me to retrofitted broom closets or the nurse’s restroom. And then it was over. At least it felt like it, back then. I was back to being exiled. I heard sneers and whispers about me in the hallways. My school board had invalidated me in perhaps the most humiliating way possible. But two years later — two crazy, stressful, busy, breathtaking, rewarding, beautiful, fantastic years later — I stand stronger and prouder than ever. I stand not only with my family and friends, but with millions of supporters who stand with me. I stand with so many wonderful people at the A.C.L.U. that I proudly call my family. I know now what I did not know then; I will be fine. Regardless of what obstacles come before me, regardless of what hatred or ignorance or discrimination I face, I will be fine, because I have love on my side. This case will not be resolved until after I graduate. But this fight is bigger than me. I came to realize that very early on, and it is truer now than it ever has been. This fight is for other trans youth in my high school. It is for other trans youth in Virginia. It is for all trans youth who are in school or one day will be. It is for the friends and loved ones of these youth, who want these children to be happy and healthy, rather than at risk and in danger as so many trans people are.